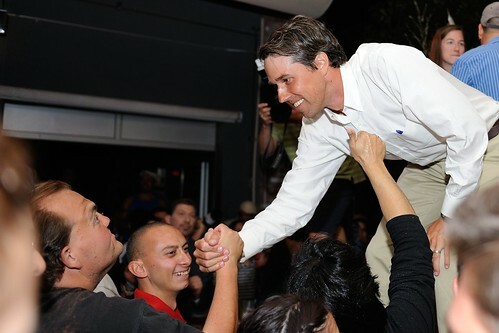 Beto O’Rourke said Wednesday that the $6.1 million he raised in the first 24 hours of his presidential campaign came from more than 128,000 donors, for an average contribution of about $47. 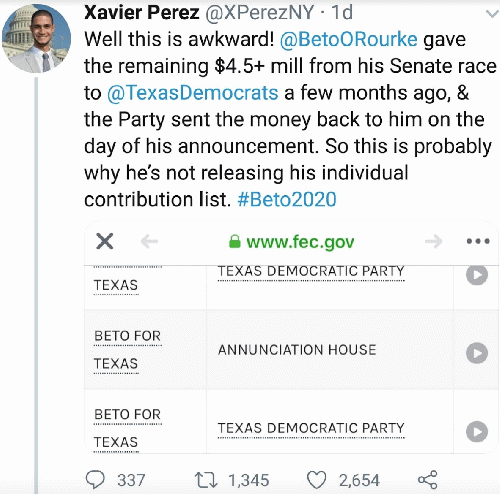 But it has been suggested that a lot of that money came from O'Rourke's left-over senate campaign money. That would mean he raised $1.6 million upon announcing. And then there's the question of whether those 128,000 donors were from the senate racce or new donors. This is a three part tweet.